The Day of Honor is celebrated throughout the Klingon Empire. But every tradition had to being somewhere... Signi Beta is an M-class planet ideal for farming. The Federation wants Signi Beta, but the Klingon Empire has the stronger claim. Captain Kirk hates to lose the planet, especially to his old adversary, Commander Kor. 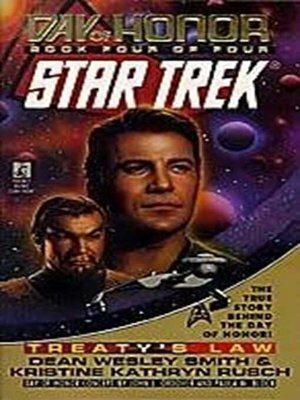 Their mutual antagonism turns into an uneasy alliance, however, when yet another alien fleet attacks both the Klingons and the U.S.S. Enterprise. Now Kirk and Kor must rely on each other's honor -- or none of them may survive to wage their war again.